Here is a teapot that Linda picked up at a garage sale….. Pretty cool dragon spout. Linda liked it cause it looks like McCoy, although I think it is much newer than that. Regardless if it is the “real” McCoy, it is pretty cool. Number 2 of the “2 others” is this photo of 2 doll quilts that are finished and ready to donate to my guild Busy Bees for their doll quilt giving this coming Christmas. Now on to the 7 things. 1.Even though my studio is named Blue Nickel Studios, blue is NOT my favorite color. That is reserved for Red or Green, and not Brown as my dear wife teases me. 2. I don’t like diamonds. They lack color for me. 4. I don’t like ketchup on my hashbrowns. 5. I liked and still like the Donny and Marie show (I saw a clip of them on YouTube, and still laughed at it) It was campy, but fun and wholesome. 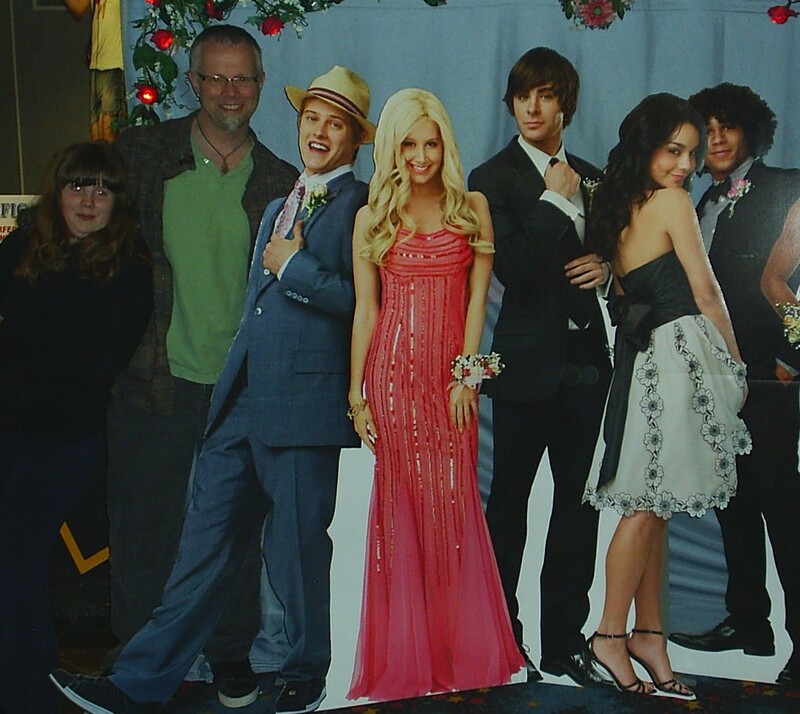 and number 7……I really like Musicals, and I thoroughly enjoyed High School Musical 1 and 2…..here are my daughter and I (she also loves HSM) posing the gang from HSM3…. There now you know more of me than you want….and none of it about quilting for those of you who were getting bored with that subject line….